I was with my wife (She was driving, officer. It’s her car!) on our recent trip to Wellington when we popped around a corner in Newtown and followed the car in front of us … right into, apparently, a Bus Lane. That happened to me in Newmarket once, again by accident (I swear!) 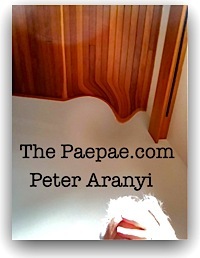 during the height of the controversial bus-lane-revenue-raising by the Auckland City Council where ‘Zere is no excuse. Ve will accept no complaintz!’ was the posture adopted. Fine: $150, thank you very much. I think there was such a huge uproar regarding the revenue collecting aspect of these fines that they started giving out warnings instead, awhile back. 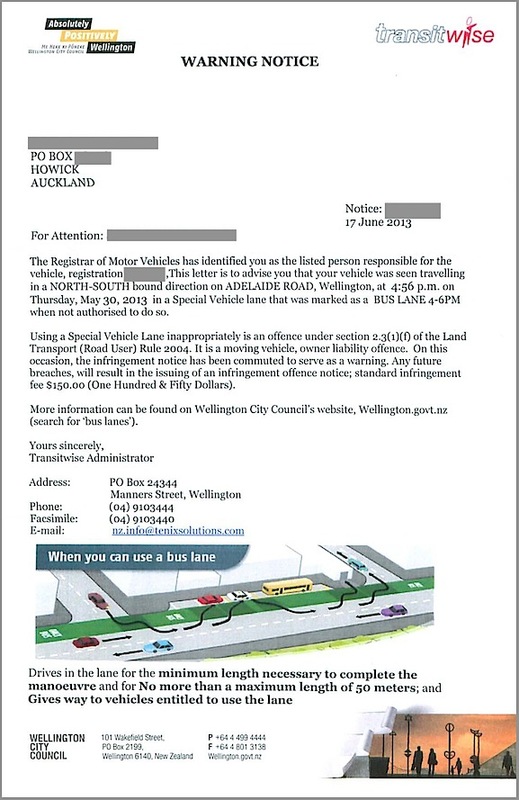 I used to get caught on the bus lane camera in Khyber Pass in New Market all the time back when i lived in Mt Eden…and still i have no choice but to go in the bus lane in Symonds Street near the Langhalm in order to turn in to Wakefield Street every day. If i don’t go in the bus lane then i can’t turn. That diagram up there is lovely. What it has left out though – is all the other traffic on the road that makes it a lot more complicated. Does this mean there’s hope for me? I parked in a sparsely populated parking building in Wellington while I had coffee with some friends. I paid $6 for an hour and a half (plenty of time for a coffee, I thought) but I returned 8 minutes too late to find I had a $65 parking fine. Isn’t there some law about disproportionate penalties? Cruel and unusual punishment? I think you are doomed, Graeme. By coincidence (and it triggered my thought to share this waring notice) I heard a Wellington traffic warden spokesman on the radio (yesterday?) explaining how they like to give warnings if people are in the car e.g. parked on a bus stop, but if your car is ‘unaccompanied’ … it’s ticket time, baby!